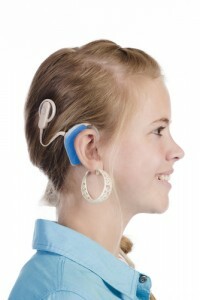 An emerging concern of patients with cochlear implants (CIs) is experiencing a number of adverse effects from undergoing magnetic resonance imaging (MRI), such as pain, discomfort, and magnet displacement. While MRI standard protocols thoroughly check for the presence of any metal implant or item on the patient prior to beginning the procedure, cochlear implants have not been a focus of assessment until recently. There have been several reports of patients experiencing these effects because of the strong magnetic field in the MRI, and these have been reviewed by researchers from the Soonchunhyang University College of Medicine in South Korea. The study’s findings are currently available online in JAMA Otolaryngology-Head & Neck Surgery. Lead researcher, Bo Gyung Kim, M.D., Ph.D. and his colleagues gathered the medical records of 18 patients with cochlear implants who had undergone MRIs between 2003 until the present. Out of this number, 16 had an MRI in a 1.5-T machine, while the remaining 2 experienced it in a 3.0-T machine. The imaging included 12 scans of the brain, and 18 of several other areas of the body. Patient information revealed 13 out of 18 were able to complete the procedure without experiencing complications, but the remaining 5 wearing protective head bandages were unable to do so due to pain. One of the 5 reported magnet displacement in his CI, while another reported being able to tolerate the pain during her 3rd MRI but experienced CI magnet polarity reversal. The two patients who were scanned using the 3.0-T machine without head bandages did not report any complications. One of the patients had an MRI of the knee, while the other had a scan of the shoulder. The latter reported some discomfort during the procedure. Of the patients who reported serious adverse effects during the MRI, only 3 did not experience a change in hearing-related performance. The investigators clarified 7 out of 13 patients with CIs who were not given general anesthesia reported discomfort and pain during the procedure. Of those who received anesthesia, 1 was awakened by the pain and had the MRI stopped. The authors believe these findings exhibit a majority of patients with CIs tend to experience pain and discomfort from undergoing an MRI, which underscores the need for healthcare providers to not only ensure safety and imaging quality, but give attention to the patients’ comfort as well.